The Internet is full of hilarious challenges, some more ridiculous than others but they’re all equally entertaining. Although we’ve been putting up some funny ones like the #CheeseChallenge (read about it here) and the #VansChallenge (we’ve also covered it here), we feel that this recent challenge is going to change the world! The Trash Challenge has got regular people finding littered areas and cleaning it up! 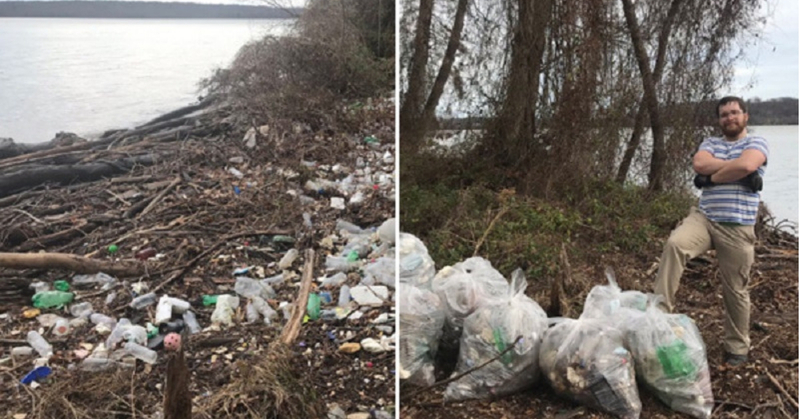 They later share pictures of the area before and after side by side on social media with the hashtag #TrashTagChallenge! It has gained thousands of responses over social media and we couldn’t be happier! Let’s take a look at some of the #TrasgTagChallenge, and it might just inspire us Malaysians to do some good for the environment! We would love to see you participate in the challenge! Don’t forget to tag Sevenpie if you partake the #TrashTagChallenge!